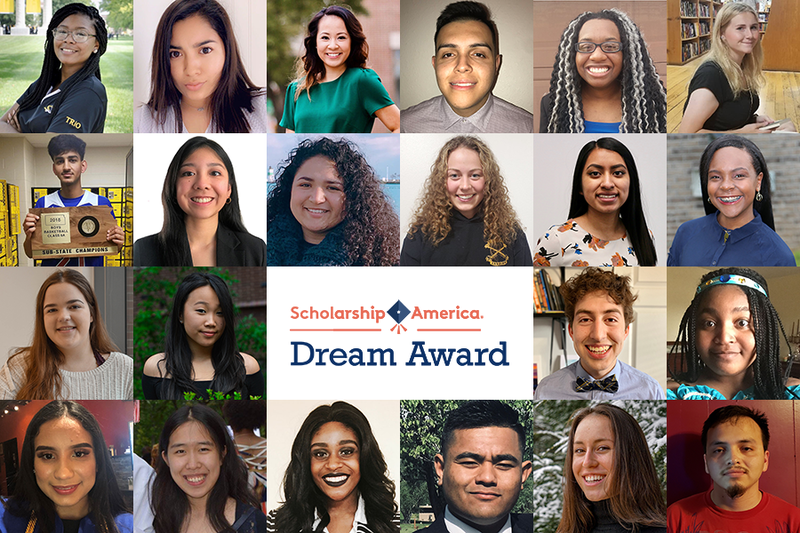 Twenty-two extraordinary students have been selected as recipients of Scholarship America’s 2019 Dream Award, given to students who have completed or expect to successfully complete at least one full year of college education by June 2019. The Dream Award is Scholarship America’s renewable scholarship program for students with financial need and who have overcome significant barriers to make it to college. Since the Dream Award was created in 2014, 86 students have received scholarship awards totaling nearly $1.5 million. Pictured below are the 2019 Dream Award scholars. Click here to read more about them. See a full list of 2019 Dream Award Recipients here. We are proud to honor them at the 2019 Dreams to Success event on May 15 in Washington, DC.